Provocative new package designs aptly communicate brand values. 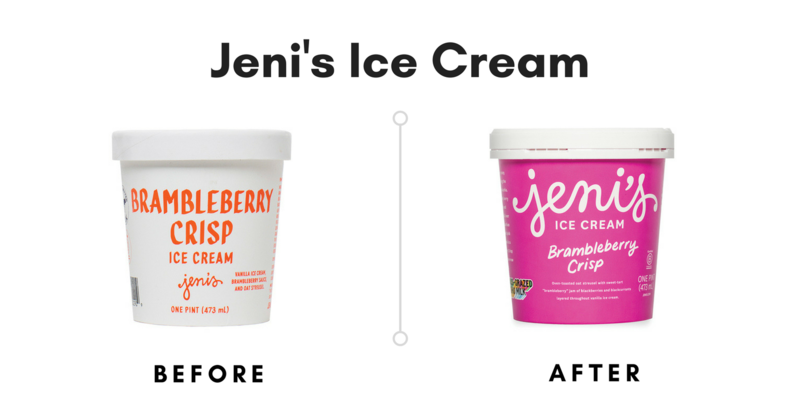 A brand refresh can better attract grocery store shoppers at the shelf. 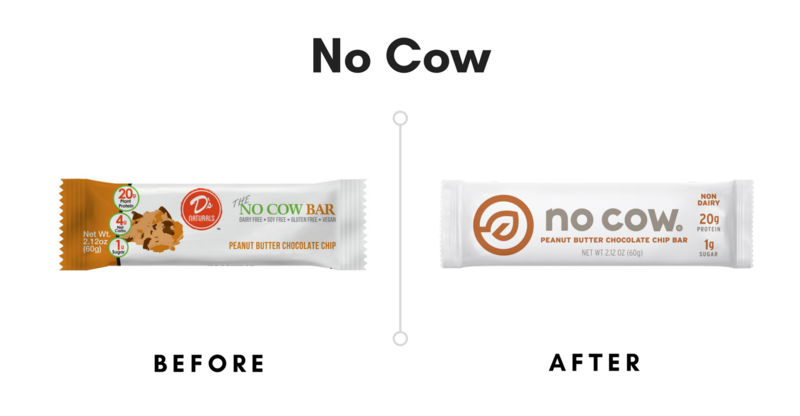 But in the age of digital everything, it's equally important that package design entice online and social media consumers seeking new products that can serve their dietary needs and instigate excitement. The following package design updates are intended to mobilize consumers across all platforms to make purchases, spark loyalty and communicate brand values. Formerly MM Local, this eight-year-old Colorado canning company recently went through a significant rebrand, changing nearly every aspect of the company marketing materials, including the name of the company, the logo and the packaging design. Thankfully, Farmhand Organics' classic preserved fruit and veggie recipes are staying the same. The transparent jar is a nod to the brand’s commitment to knowing exactly where its ingredients come from. (You can’t see it in this image, but the top of the cap indicates the farm that grew the produce inside each jar.) 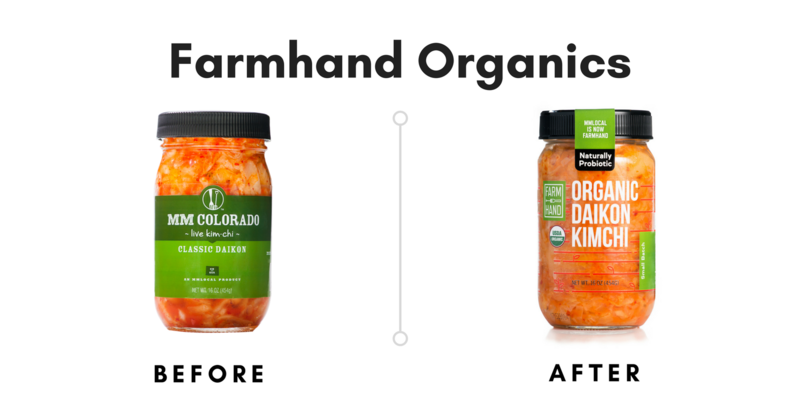 "A new name and new look allows our company to tell our story more directly as we grow distribution and work with more certified organic family farmers in the U.S.,” Farmhand Organics says. It's a bold decision to alter the name of a well-known brand because core consumers could get confused at the store shelf. But the new design better tells the brand story. Subtle branding updates for Essentia, a company that bottles ionized alkaline water, could have noteworthy payoff on store shelves. Here, the new box features more visible call-outs that better explain how Essentia differs from traditional bottled water. Notably, the three small plus signs in the old packaging have expanded to one large, plus sign in the center. “The new packaging showcases Essentia’s bold, impactful and aspirational brand in an innovative and consumer-friendly design, bringing the brand personality to life and communicating what the brand stands for (the brand manifesto is highlighted on the new box design),” says Karyn Abrahamson, VP of marketing and brand innovation at Essentia. 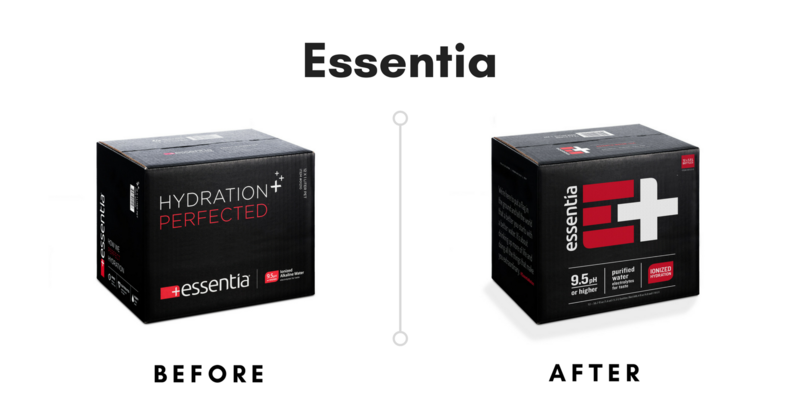 “This new packaging approach makes the product stand out at retail and makes the shopability for the consumer simplified and more engaging.” The consistent brand colors of white, red and black will help retain Essentia’s core shoppers. Learn more about the power of re-branding and package design at the Natural Products Business School at Natural Products Expo West, March 7, 2018.